How does DNRC serve Montana? Our Trust Land Management Division oversees 5.2 million acres of state trust land. Through programs including sustainable forestry, agriculture, grazing and energy leasing, we generate millions of dollars annually for K-12 public education, including school facilities and classroom technology. 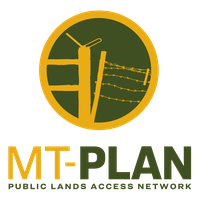 Montana’s Trust Lands are a vital component of local economies and also provide tremendous recreation opportunities for hunters, anglers, hikers and horseback riders. The Water Resources Division is responsible for managing Montana’s water for the present and future needs of its people. We compile accurate, up-to-date stream flow data from more than 90 monitoring gages, providing critical data for managing reservoirs, irrigation schedules, water rights permitting and adjudication, floodplain management and other services for farmers, ranchers, citizens and communities. We also manage the operation and maintenance of 24 state-owned dams and 250 miles of irrigation canals. Based in Missoula, the Forestry Division promotes responsible and proactive stewardship of Montana’s forests and rural lands. Our programs help private landowners manage their forested lands, and help cities and towns develop vibrant parks, boulevards and natural areas. We respond to wildfires, insect pests and diseases, and advocate for sustainable forest management practices on private, state, tribal and federal forestlands. We value Montana’s integrated forest industry and its social, economic and environmental benefits. Through regulation and remediation, the Montana Board of Oil and Gas Conservation protects citizens and the environment from the impacts of oil and gas activities. The Board is responsible for permitting all oil and gas wells and regulates the underground injecting program. Staff identify projects and hire contractors for remediation efforts such as plugging orphaned wells and restoring abandoned well sites. The Board is also responsible for inspecting oil and gas wells and operations to ensure they comply with all state environmental laws. An essential component of Montana’s ongoing adjudication of water right claims includes quantifying the federal reserved water rights held by Montana Indian tribes and federal agencies. The Reserved Water Rights Compact Commission negotiates settlements with Tribal and federal stakeholders, providing all Montana water users with a degree of certainty regarding current and future water rights. The negotiation process gives all citizens a voice in how the water compacts are written. Grant and loan programs administered by our Conservation and Resource Development Division enable communities to modernize wastewater treatment and water systems; to reclaim lands impacted by mining; and fight the spread of aquatic invasive species. We also work closely with Montana’s 58 Conservation Districts with programs that offer the latest rangeland management strategies, mitigate stream bank erosion, and reclaim soils damaged by saline seepage.